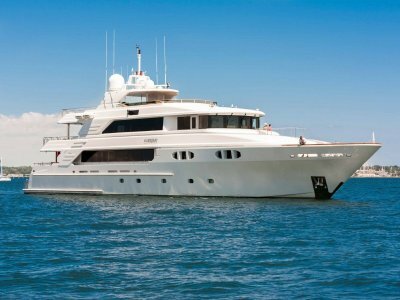 GOLDEN TOUCH II Recently Completed a 14-month total refit (new paint & interior). With just over 600 original hrs on her twin 3,000 HP CAT 3516's - She cruises at 18 & Tops 25 kn. 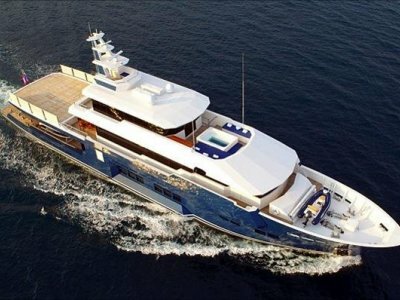 She offers the largest master stateroom for a yacht under 200', which spans two decks and includes a sky-lounge with private balconies. 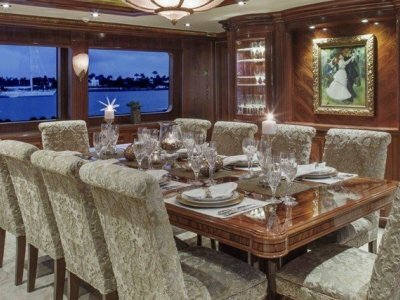 In addition: 9 heads + crew quarters and a captain's stateroom - aft of the pilothouse - a media room, formal dining room (with seating for 12), and a professional galley. There are 2 new water makers (4100+ gal/day), a new air conditioning system with 4 new chillers, which comes with a back-up air conditioning system. The transom door opens to a large tender garage w/ a full machine shop, lathe, milling machine, welding machine, drill press and more --- which allows for repairs to be made underway, if spare parts aren't available. (That's peace of mind for the owner, guests + captain and crew). 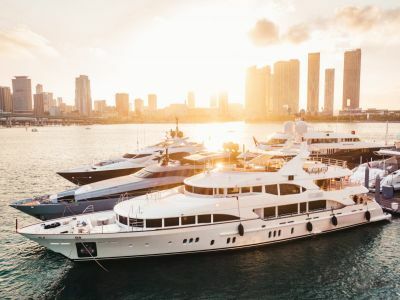 Her draft is under 7 feet, making her an ideal charter yacht for the Bahamas or anywhere else in the world. A range of 3500 miles means a Trans-Atlantic trip isn't out of the question.